Joe Grafton of ReThink Restaurants (center) led a business training class for Spanish-speaking employees. Operating a restaurant in Boston is an incredibly tough business: Margins are tight, labor is scarce, and the stakes are only getting higher as more eateries open across the city. Add to that a possible minimum wage increase, which many owners fear could upend their business model, and the risk is perhaps more daunting than ever. But more area restaurateurs are embracing the challenges with a novel solution: sharing their financial information with their workers and teaching each employee — from the head chef to the dishwasher — to become an efficiency expert. Workers are then empowered to find ways to help the restaurant succeed and even share some of the gains. In a private dining room at Trade in the Financial District last month, staff members being trained in this “open book” approach to management considered the cost of a ham sandwich. As Joe Grafton, a consultant with ReThink Restaurants, passed the ingredients list around the table, he asked the workers in Spanish how best to tweak the recipe to help cut costs. 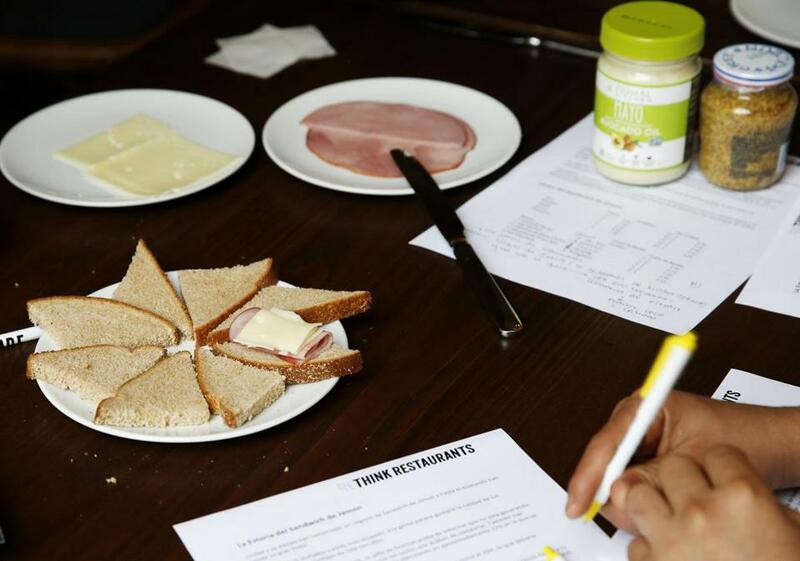 The Trade team, which included dishwashers and line cooks from Colombia and Guatemala, looked over a price list for each teaspoon of mayo and slice of bread, then came up with a way to reconstruct a sandwich while saving 80 cents per serving. Trade isn’t actually in the ham sandwich game — it’s known for its flatbread pizzas and such dishes as duck rigatoni — but it’s one of several restaurants deploying the open book management technique. Originally implemented in manufacturing plants, open book management was eventually adopted by the founders of Zingerman’s Delicatessen, in Ann Arbor, Mich. The Zingerman’s team is often credited with introducing the concept to the food service industry, and for good reason: Zingerman’s now operates a dozen interrelated — and highly profitable — food businesses, including a ZingTrain, a program offering open book training to small businesses. Trade chef and owner Jody Adams and her partners recently made a pilgrimage to Ann Arbor to enroll in a course. So Trade enlisted the help of Henry Patterson, a former owner of six restaurants who has made a second career out of teaching open book management. Over the last several years, his consultancy, ReThink Restaurants, has slowly begun rolling out open book programs in about a dozen restaurants in and around Boston, including Bar Mezzana in the South End and the Chinese-American restaurant Mei Mei in the Fenway. In some cases, state workforce development grants help cover the cost of providing training in both English and Spanish. Trade employees worked to build a more cost effective ham sandwich. She encountered open book management when she attempted to hire a chef away from The Paris Creperie cafe in Coolidge Corner. The chef told her she couldn’t leave her job because the cafe had introduced a new program that meant she could earn far more money if she stayed. Li learned that the cafe’s owner had brought in Patterson to assume financial oversight of the shop. Patterson decided to use the cafe as an open book incubator, training the servers and baristas how to read profit-and-loss statements and giving them financial incentives to cut costs and increase sales. The results that first year were dramatic. The Paris Creperie team quickly identified fixable problems. For example, waste and spoilage consumed 30 percent of operating costs, and a supplier had quietly raised the cost of several staples. As employees became more invested in the restaurant’s success, the cafe’s owner was able to funnel the resulting profits back into the employees’ salaries. Each staffer received about $6,000 more in their paychecks during the first year. “I love what we’re doing; it’s very clear that this is a better business model,” Patterson said. And for Patterson, The Paris Creperie experience was also proof that rolling out open book programs at other restaurants was a viable business model in itself. Li was among the first owners to sign on with ReThink, and she said Patterson quickly became a mentor. “He really is a restaurant therapist,” she said. Together Patterson and Li mapped out a plan for introducing open book training at Mei Mei. 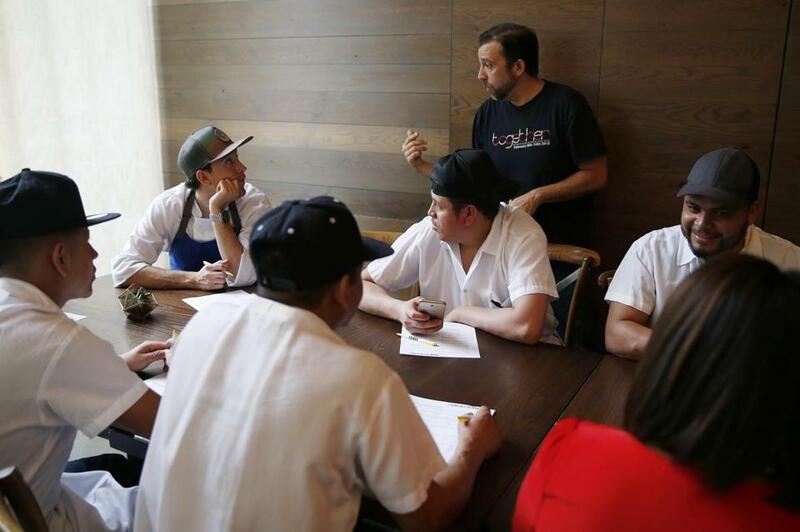 The seven-month program began in April of last year, with the restaurant’s 20 employees taking one-hour classes while also participating in short-term challenges designed to find ways to run the restaurant better. One challenge focused on trimming the restaurant’s cost of goods and resulted in rethinking the portion size of a dumpling order, negotiating better prices for cheddar cheese, and adding two more beer taps to help increase alcohol sales. The challenge ultimately saved the restaurant over $10,000 in three months, which Li then funneled back to her staff. “It ended up being about $1 or $2 more per hours worked, and if you make $11 an hour that’s huge,” Li said. Her goal for open book is to eventually introduce a profit-sharing program to help her employees earn a more livable wage. Every penny matters to workers in the restaurant industry. It has one of the highest proportion of workers earning at or below the minimum wage, noted Susan Crandall, director of the Center for Social Policy at the University of Massachusetts Boston, and servers are three times more likely than other workers to fall under the federal poverty line. Open book management is a “rare initiative that immediately benefits employers as well as employees and also gives them a chance to develop skills on the job,” she said. Workers at companies that offer profit sharing or employee ownership perform better, show reductions in turnover, and have more loyalty and an increased willingness to work hard, Crandall said. Christopher Muller, a professor of hospitality at Boston University, said he expects more restaurants to use open book management as they face more competition and higher occupancy costs.